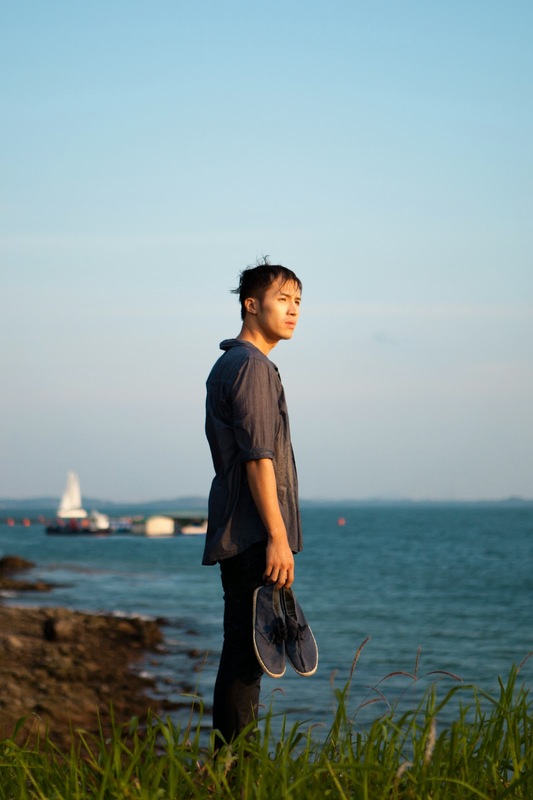 SINdie had the privilege and opportunity to interview Liao Jiekai (Young Artist Award Winner, 2012), about his latest feature, As You Were. The feature had its world premiere in the Asian Future Competition at the Tokyo International Film Festival 2014. 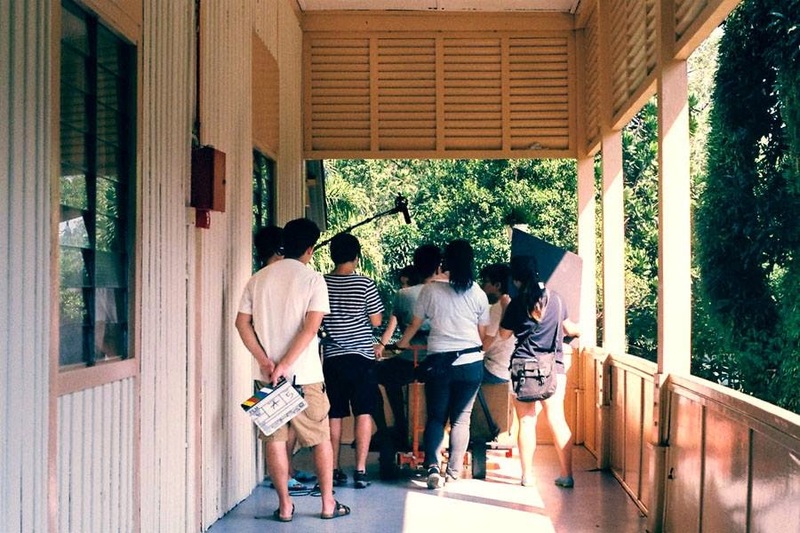 Here’s what the director had to say about his inspirations on the film, and some reflections on what a filmmaker reflects about in relation to the landscapes and narratives in Singapore. 1. You mentioned in your interview with the National Arts Council that you draw your inspiration from everyday life. What was the starting point for the story of the couple in 'As You Were' and how did the characters come to be what they are in the film? "As You Were" begin as a short film that I shot in 2012 titled "Song of Tomorrow". It was inspired by a poem of the same name I had to memorize for Chinese dictation in primary 5. The basic premise was about a boy Guohui who succumbed to peer pressure and bullied a girl Peiling in his class; they were childhood sweethearts who grew distant because of this one incident and they never saw each other again after graduation. The poem talks about how if we always only look ahead into the future, we will never truly live in the present, which for me epitomized Guohui's guilt towards Peiling and his lack of courage to apologize to her, thinking that there will always be another opportunity to do so. 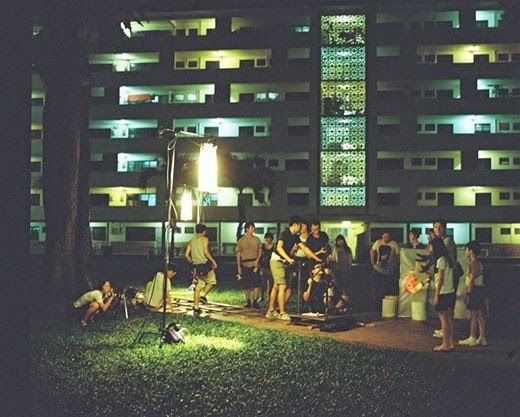 While doing pre-production for the short film, I realized that the story which was set in the 90s has the potential to develop into a longer film, and hence came "As You Were" - which basically explores Guohui and Peiling's relationship as grown-ups living in a post-millennia Singapore. 2. How do environments play a role in the story of your film? How do chosen landscapes inform the narrative of your film? The film used three distinctive landscapes as a means to describe the idea of 'change' - which is a key motif in the film. First, there is St. John's Island, an offshore island that remains largely unchanged for decades, with many infrastructures from its history of imprisoning people (quarantine center, penal colony, drug rehabilitation) still remaining on the island. Second, there is the typical Singapore heartlands where we see HDB flats, neighborhoods, schools, etc. Third, there is Singapore as a modern metropolitan city with its towering skyscrapers and futuristic skyline. To me, these three important landscapes represent the historical facade of Singapore, the Singapore I've known as a child and the present-day futuristic monster the city had evolved to become. 3. You mentioned that your artistic inspiration has been Krzysztof Kieslowski, Andrei Tarkovsky, Hou Hsiao Hsien and Ozu Yasujiro. As your artistic practice matures, how has your key influences changed? Well to put it this way, there are many film directors I admire over the course of my artistic career, from my days as a student to the present. My inspirations also evolve as I develop my craft as a filmmaker. There are directors whom I admire in my early days which I don't appreciate that much any more. There are films which I found boring as a student, but slowly developed a taste to appreciate as a more mature movie watcher. Maybe I would just like to quote one film - Andrei Tarkovsky's "The Mirror", which I've seen so many times in the course of the past ten years, but never felt the same emotions, grasp the characters in the same way, or able to outline the story in all of my viewings. It is a film which I will spend time to appreciate and understand - that is the kind of movies I want to make. 4. You mentioned once that you prefer focusing on creating the work and letting the work find its audience, rather than the other way round. Has your philosophy remained the same or has this shifted since 2 years ago? I still believe in making the films the way I intend it to be, and letting it find its own audience later. Someone once mentioned that film watching should be perceived as an act of labour, which I agree to a certain extent. Film watching should be tiring and exhausting! Audiences should ponder, contemplate, learn, discover and reflect upon the films they saw. Or perhaps if the film is so utterly boring and meaningless that this supposed two way communication should cease - the audience should probably leave the theater (I do that sometimes). 5. What are your ambitions for 'As You Were'? How far in the international circuit would you like to take it? Well I like to take it one step at a time. 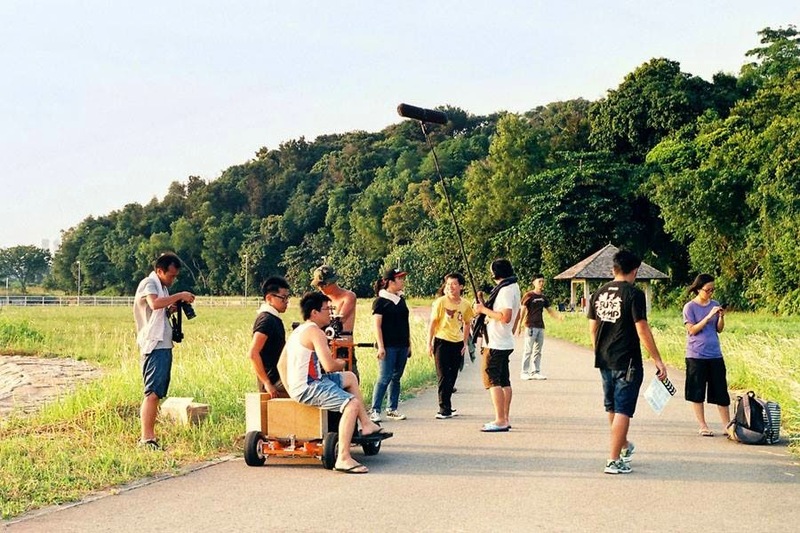 The film opened in Tokyo International Film Festival, and will travel to Italy (Torino Film Festival) and France (Nantes 3 Continents International Film Festival) before hitting the big screen at home in the Singapore Panorama section of the Singapore International Film Festival. I hope that we will find the opportunity to do a small release in Singapore theaters, so that more Singaporeans have the opportunity to see the film. 6. A theme in the film is constancy amidst an environment of change, brought about by the motif of the water and the pool. 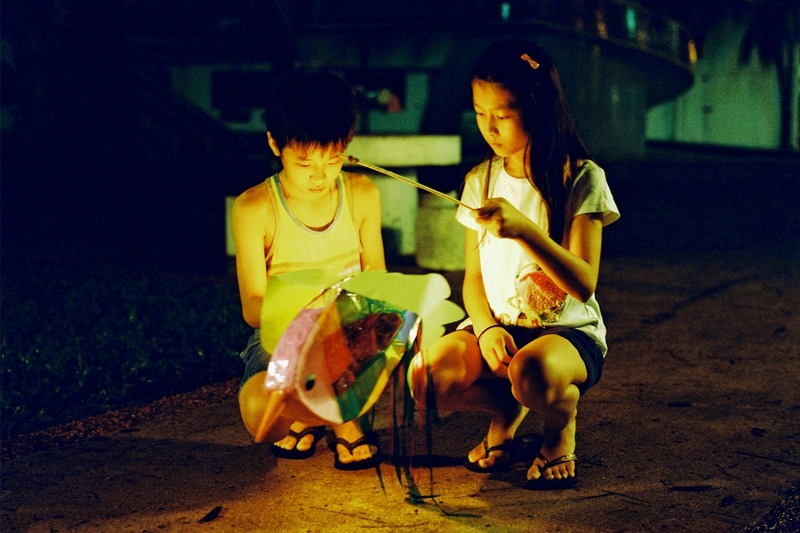 What would you say is the constancy in real life singapore that Singaporeans can draw strength from? This is a big question! I think that diversity is probably an important attribute in Singapore's culture and life. Which is why we have so many different kinds of literature and films, telling different stories of different communities, embracing and celebrating differences. 7. Do you tend to cast performers who are not necessarily trained actors? What are some of the opportunities or challenges that arise from such a decision? I think that every actor (professional or amateur), is first and foremost an individual that comes with his/her own lived experiences. The difference in every actor's lived experiences as a person (whether it is as a father, a teacher, a lover, a daughter, or any other role he or her carries in life) is what interests me. I like to tap into it as a source of creativity for both performance and story. I think of the director-actor relationship as an intimate collaboration. Take for example Cheryl Tan, who acted as a singer in "As You Were". I asked her to perform a few songs in the film (and wrote these into the script after casting her) because I believe that as a performer, Cheryl communicates differently when using her singing voice. It is something that is beyond mere emotions, it cannot be written or simply visualized, it has to be experienced. 8. If there were an opportunity to collaborate with another fellow artist (filmmaker or not), who would it be and why? A successful collaboration always require a lot of synergy (in taste, artistic sensibility, intention, etc). Rather than quoting people I am interested to collaborate with (there are plenty in my wish list but I rather not list them here), I will like to give credit to a few people I've worked with in the past few years - Bee Thiam my producer, Wan Ping my cinematographer, Gladys my co-writer, Ting Li my sound designer, and the list goes on... I think that my films are as much their labour of love and I truly appreciate their professional partnership and friendship. 9. How was your experience shooting in St John's Island. 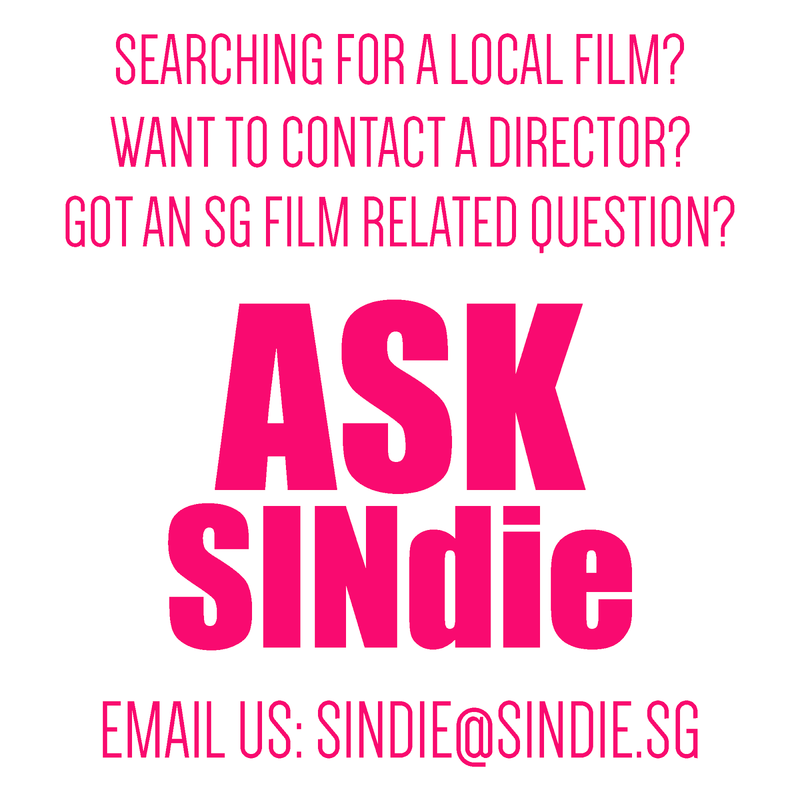 Anything interesting you discovered about it in the process of shooting your film? During the shoot on the island, we met many Indian migrant workers who lived in dormitories on the island; they are workers who serviced St. John's and many of the outlying islands like Kusu, Sisters, etc. For me, it was an interesting contrast to how the island was first used as a quarantine center for Chinese and Indian migrants - basically our forefathers - who have to spend a couple of days on the island undergoing vaccinations and medical checkups before heading to Singapore. 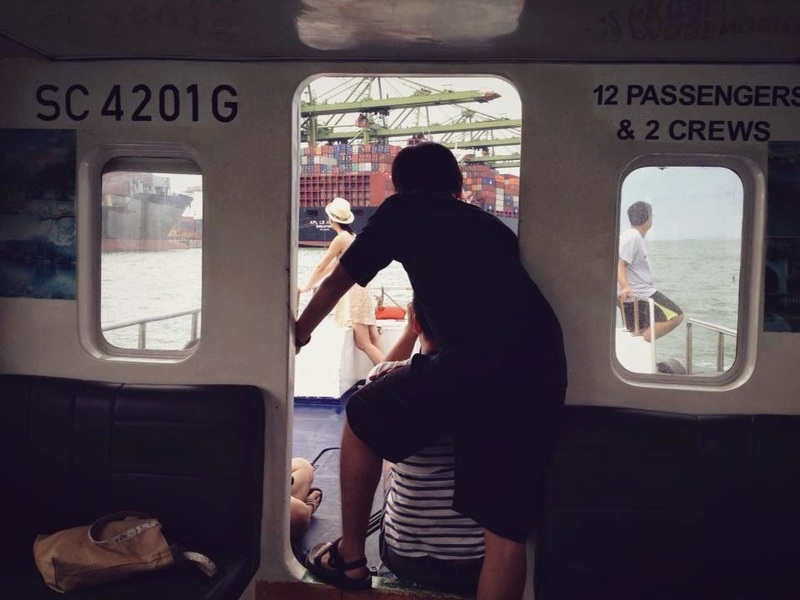 The comparative images of early 20th century and 21st century migrants, both of whom came to Singapore for its economical prospects and spent time on the island, became part of the context of the place as depicted in "As You Were". 10. Are there plans for a next upcoming feature? 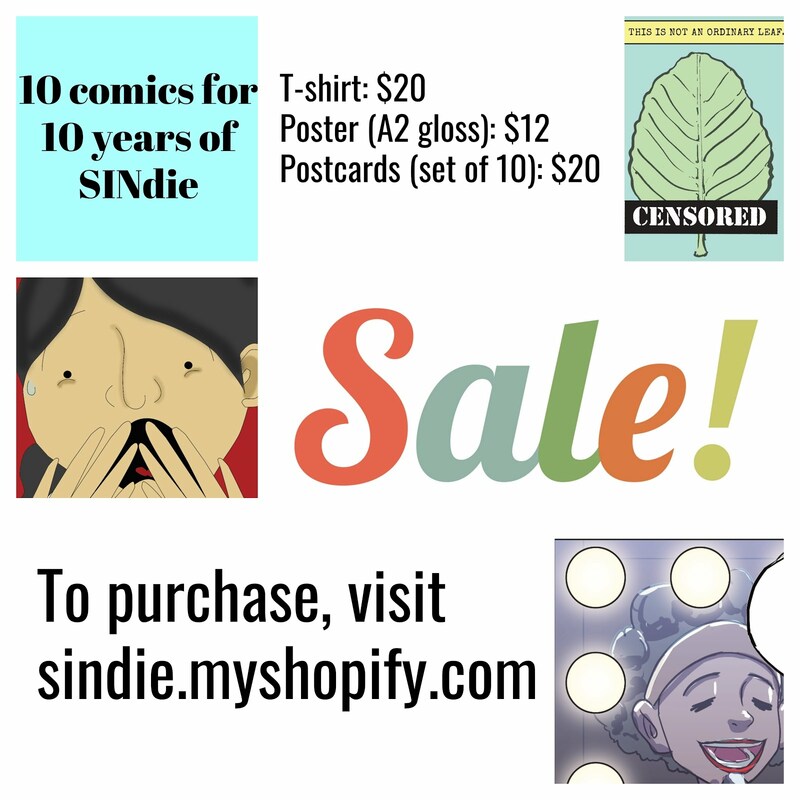 Could u divulge a little teaser for the readers at SINdie? No concrete plans yet for a next feature film, although there are many ideas swimming in my head. I prefer to share a current project that I recently completed in an artist residency in Aomori Contemporary Art Center, Japan. 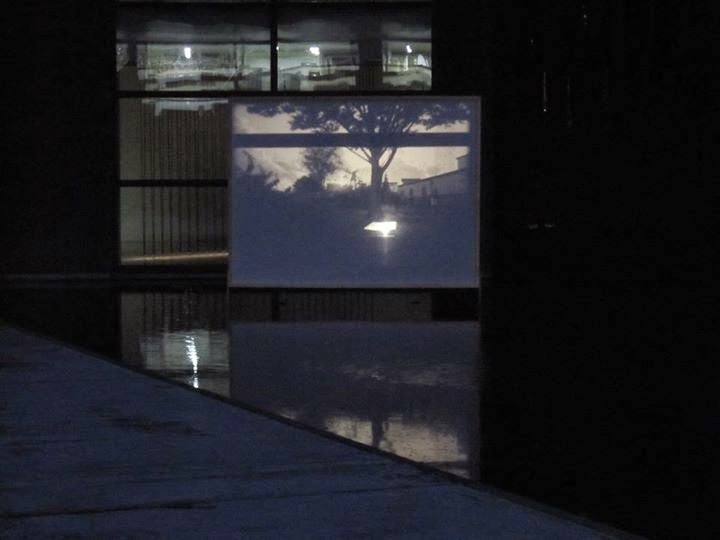 It is a 16mm film installation titled "Something from the Ocean, something from the hills", best viewed during sunset. (see attached image).